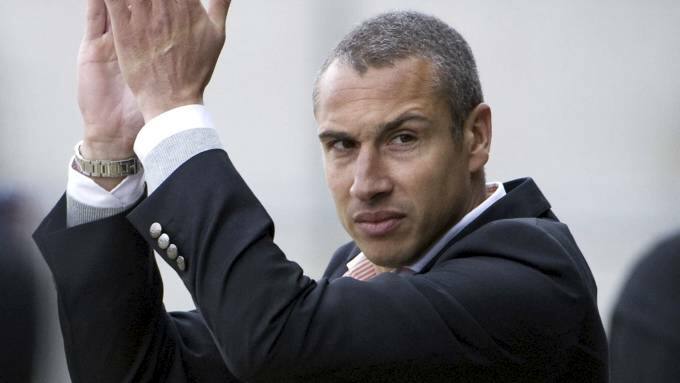 Henrik Larsson has refused to allow his son Jordan to represent Sweden at the 2016 Olympic Games in Rio de Janeiro. Larsson is currently the boss at Swedish club Helsingborg and among the Swede’s squad is his 19-year-old son Jordan. The former Celtic and Barcelona icon has grounded his boy who was desperate to appear at the Games due to a lack of options up front. “The reason is that we have only two strikers available in the current situation, one of which is on two bookings,” Larsson told Eurosport. Sweden enter the Men’s Olympic Soccer tournament among the favorites after winning the Euro U-21 Championship in 2015. Larsson began his career with Helsingborg in 1992 and returned to the club in 2006. The Swede says he spoke to Sweden U21 manager Hakan Ericson to explain why his boy wouldn’t be making the trip with revealing that it had nothing to do with security concerns, the standard of lodging or the Zika virus. “Unfortunately, it’s part of football. It is sad for him because obviously it would have been a good experience,” said Larsson. Jordan Larsson appears to be taking the news well and respects the decision of his father, despite revealing that it was an aspiration of his to play at an Olympic Games. “It is clear that it is disappointing,” Jordan Larsson told Eurosport. “It is a dream that I had wanted to fulfill. Sweden’s men begin their Olympic Soccer campaign against Colombia on August 4 in the tropical Amazonia Arena in Manaus. Meanwhile Helsingborg are currently midway through their league season an sit 12th in the table.